Famous Porsche test driver Walter Rohrl has opted out of the latest 911 GT2 RS's lap record attempt as he was partially concerned about the risk of a high-speed crash. 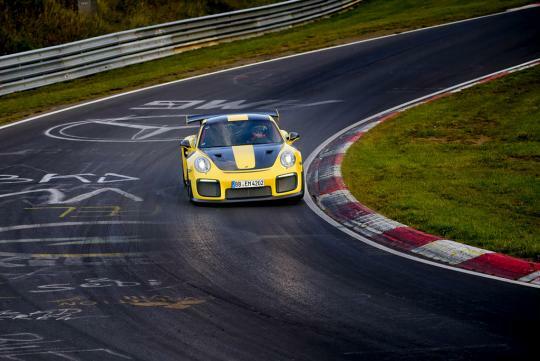 In an interview conducted with Drive, the rally legend hinted that the GT2 RS could be too fast for the Nurburgring as the amount of downforce generated by production cars are too little for the many high speed corners taken on the track. This is despite the 911 GT2 RS developing a very respectable 416kg of maximum downforce. “You have no room for mistakes, that’s the bad thing. On the speeds like in this car (GT2), you go into Schwedenkreuz at 295km/h and Fuchsrohre at 270km/h, and I know all the accidents which have been on these places in the last 20 years. “If you come to Fuchsrohre at 270, I always think one of the test drivers from Bridgestone, he broke the rim…,” Rohrl said. Despite the dangers, Porsche’s head of motorsport and GT road cars development, Dr. Frank-Steffen Walliser, said the brand will continue pushing the limits of lap times at the circuit.